Trade shows exclusively for the MICE sector – such as airlines, hoteliers, convention centres, professional congress organisers, national tourism organisations, and incentive event organisers. Trade talks at fairs are held on the basis of individual scheduled meetings with Hosted Buyers exhibitors, i.e. selected organisers of business meetings. 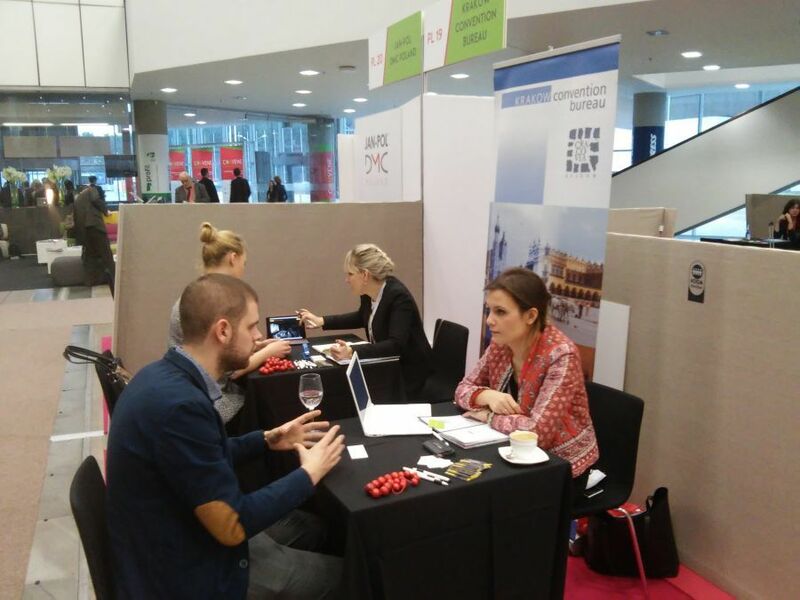 Participation in business tourism fairs is important to Krakow as the means of promotion of the City in terms of conference tourism and the tasks undertaken by the Krakow Municipal Office as part of the Congress Bureau. Trade shows provide the opportunity to present Krakow’s business tourism industry offer in foreign markets. The main point of the trade shows are meetings with exhibitors which are Hosted Buyers, i.e. participants in a special programme run by the fair organisers. This programme is based on the fair inviting representatives of companies and organisations who are exclusively executives looking for specific products from the industry. The organisers of these fairs have the best designed programme, evidence for which is a special individual online calendar for each exhibitor, launched just two months before the fairs with the capability to enter and plan meetings at the trade shows.